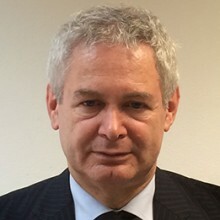 On 1 September 2013, Andreas Mavroyiannis assumed his duties as Negotiator of the Greek-Cypriot community in the inter-communal talks on the settlement of the Cyprus problem, which are taking place in the framework of the United Nations Secretary-General’s good offices mission in Cyprus. Between 1 March 2013 and 31 August 2013 he served as Permanent Secretary of the Ministry for Foreign Affairs, the highest rank below the Minister for Foreign Affairs. Between October 2011 and January 2013, he served as Deputy Minister to the President of the Republic of Cyprus for European Affairs. His portfolio included the overall responsibility for preparing and running of the Cyprus Presidency of the Council of the EU, of the second semester of 2012 representing the Government to EU Institutions as well as the Presidency and the Council before the European Parliament. He joined the Diplomatic Service of the Ministry of Foreign Affairs of the Republic of Cyprus in 1987. He has served as Permanent Representative of Cyprus to the European Union (2008-2011), as Permanent Representative of Cyprus to the United Nations (2003-2008), as Ambassador to France (1999-2002) and as Ambassador to Ireland (1997-1999). During his tenure as Permanent Representative to the UN, he was one of the Vice-Presidents of the 62nd Session of the General Assembly of the United Nations (2007-2008) and facilitator on the reform of the Security Council. He was chairman of the Committee on relations with the Host Country (2003-2008) and presided over various UN conferences and sessions of UN Committees. Most recently, he served as a Vice-President and Rapporteur General of the 3rd Financing for Development Conference held in Addis Ababa on 13-16 July 2015. He has also been a Member of the Greek-Cypriot negotiating team in the Cyprus question bi-communal talks (2003-2008) and a Director of the Office of the Minister of Foreign Affairs (1995-97, 2002-03). Andreas holds a PhD in Political Sociology (Université de Paris X – Nanterre), a Master (D.E.A.) in International Law, (Université de Droit et de Sciences – Paris 2), a Master (D.E.A.) in Political Sciences (Université de Droit et de Sciences – Paris 2), a Diploma in Law (University of Thessaloniki, Greece), and the Diploma of The Hague Academy of International Law. Andreas Mavroyiannis is also the candidate of Cyprus for the post of President of the 71st session of the United Nations General Assembly (2016-17). Andreas was born in Cyprus on 20 July 1956. He was married to the late Calliopi Efthyvoulou with whom he has a son, Diomides, and a daughter, Athena. In 2015, he was awarded the National Order of the Legion of Honour (Légion d’honneur) of the French Republic (rank of Officer).